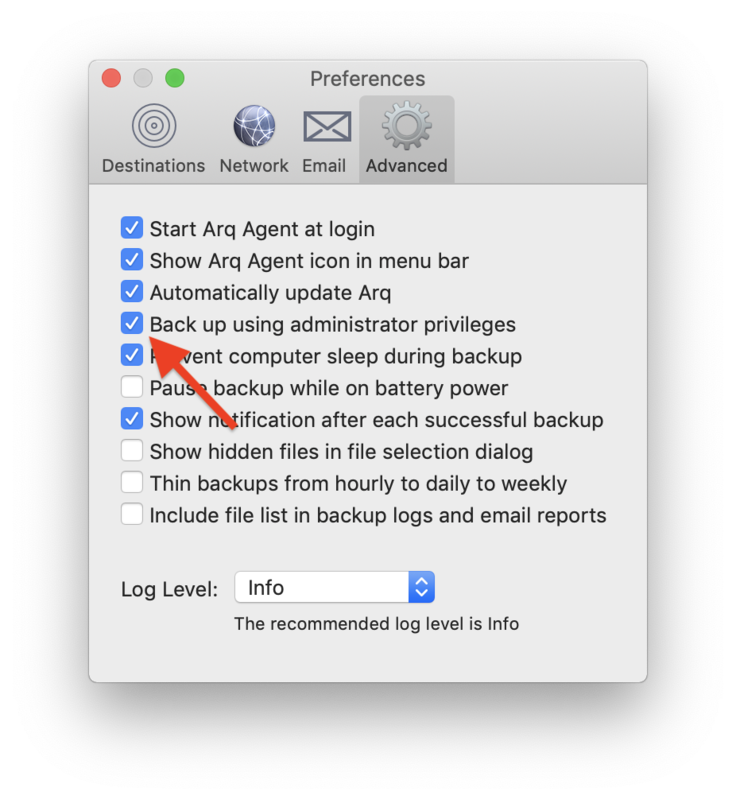 Arq can back up using administrator privileges. This gets around "permission-denied" types of errors. To set it up, open "Preferences" (from the "Arq" menu) and select the "Advanced" tab. Check the "Back Up Using Administrator Privileges" checkbox. When Arq backs up, it launches a "helper" program called "arqcommitter". When you check the "Back up using administrator privileges" checkbox, Arq sets the permissions of the arqcommitter program so that when it's launched, it runs as root.